This photograph takes me back to childhood. I love the dreamy, wistful moment this portrait captures of a sweet moment in time. We had to hunt through the field for the perfect dandelions, and I typically need 2 - 3 to ensure that we can capture the right image with the dandelions floating perfectly in the air. It isn't as easy as it seems. 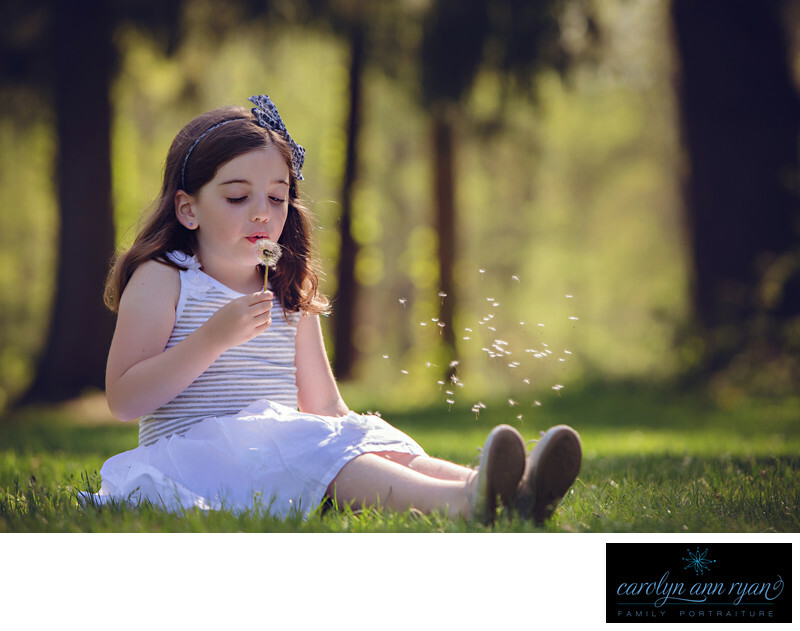 Wind direction, speed, and children's hands can all make a difference on the impact the dandelion can make to the overall portrait. But we got this one just right.Keywords: dandelions (3), girls (165), Summer (69), white (69). 1/400; f/3.5; ISO 100; 148.0 mm.